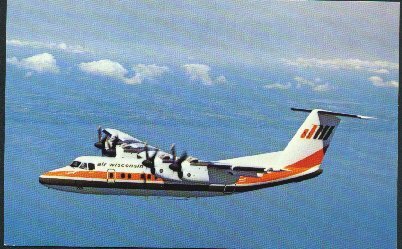 "Air Wisconsin - deHavilland Dash 7 - Circa 1960's or 70's"
(782) POSTCARD: Air Wisconsin - deHavilland Dash 7 - Propjet-Condition: Very Good.- Colored Photo, Circa 1960's or 70's. Not Posted. Price: $4.00 + shipping.